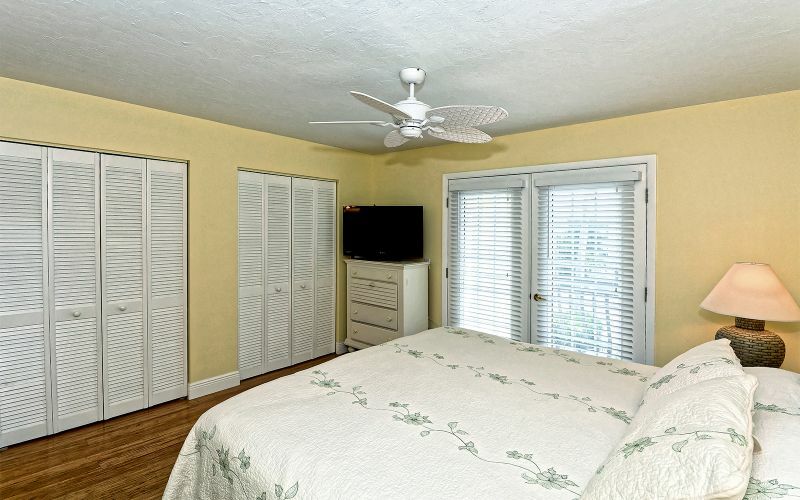 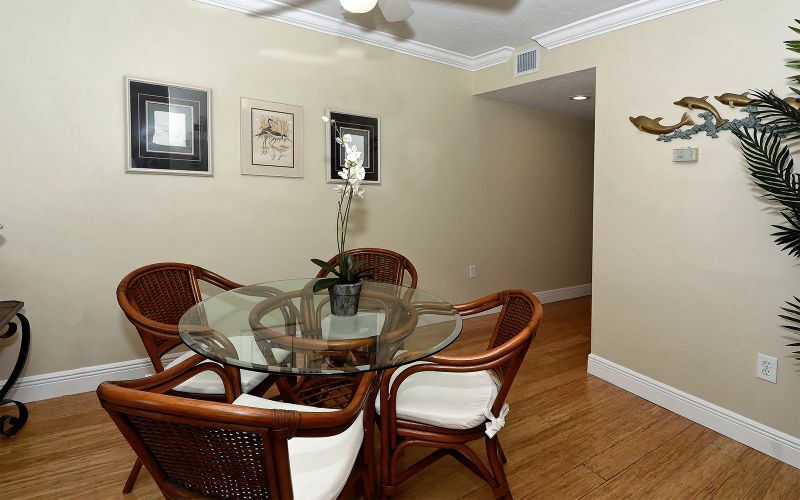 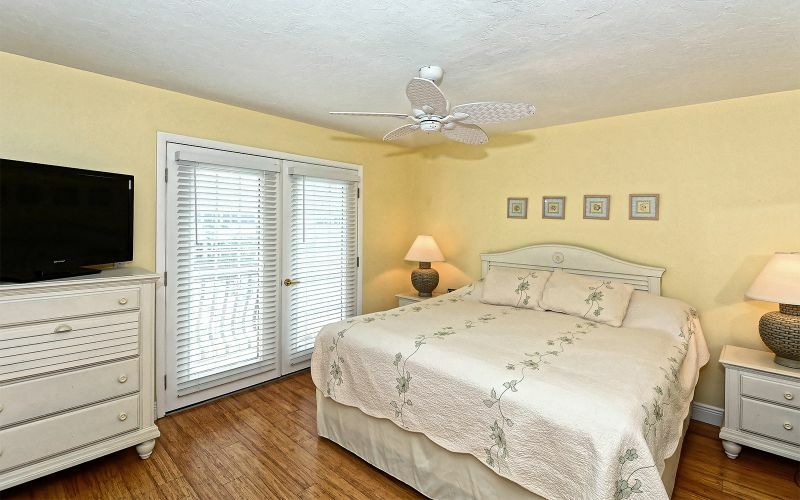 Recently updated two bedroom, two bathroom condominium has a king in the master and a king in the guest bedroom. 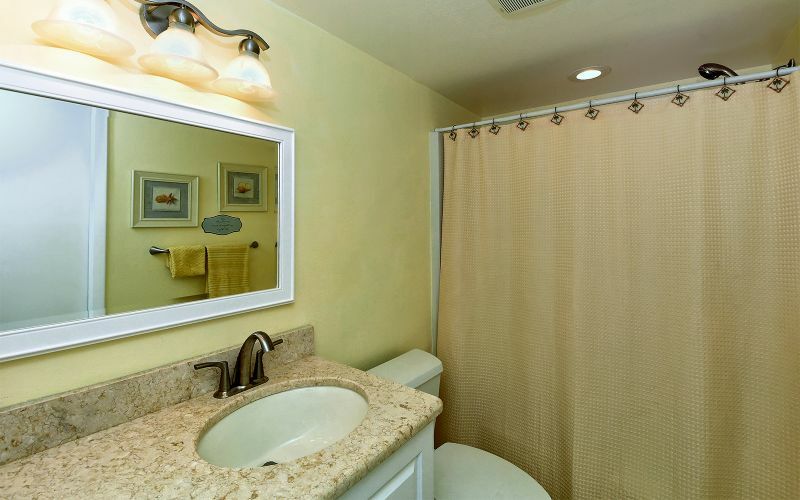 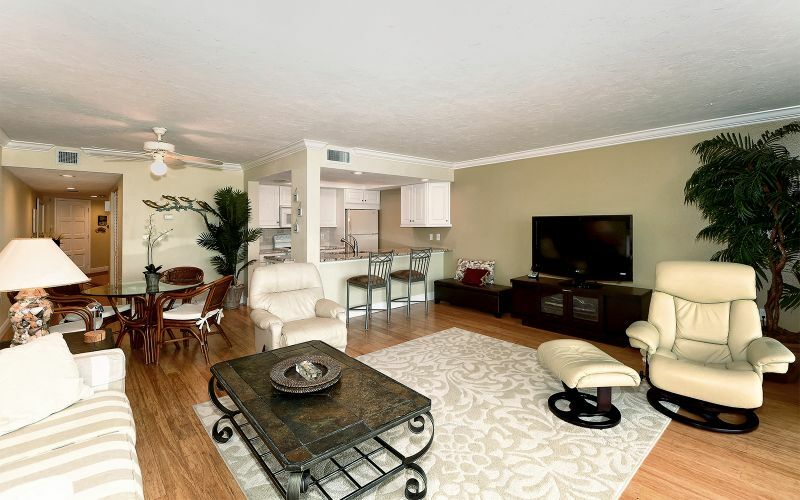 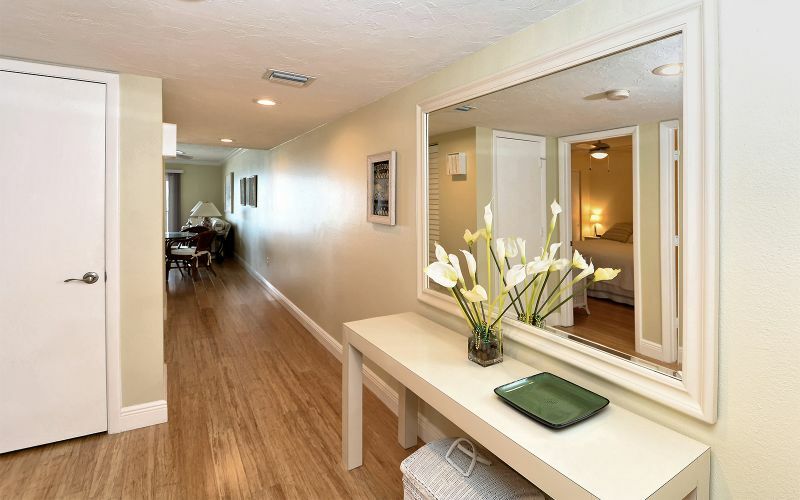 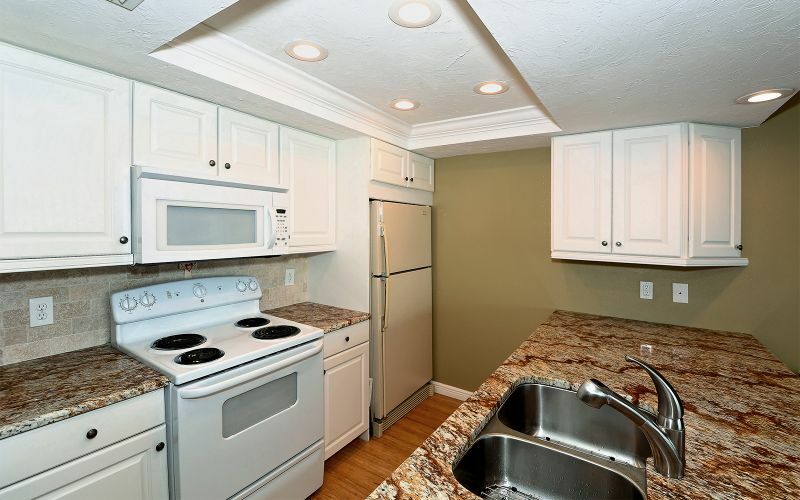 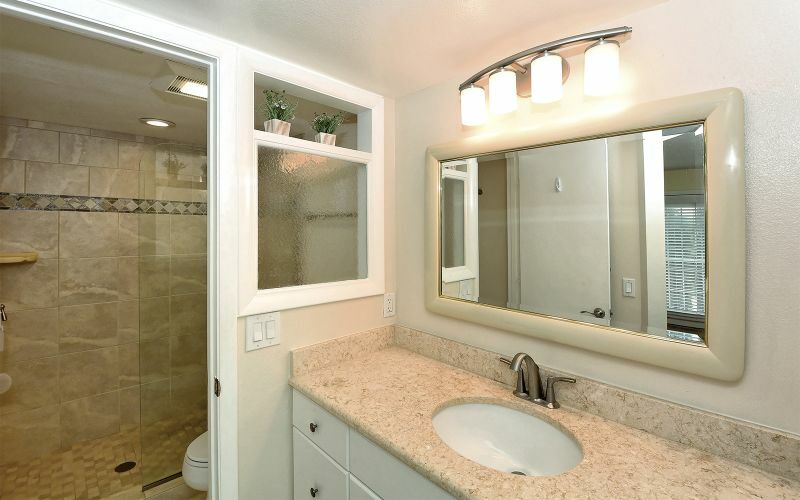 The unit is updated with bamboo floors throughout, updated bathrooms, new big screen TV and new appliances. 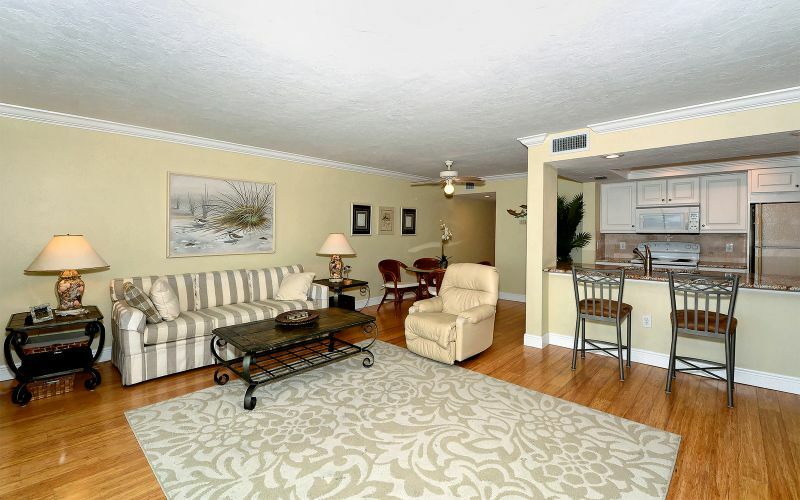 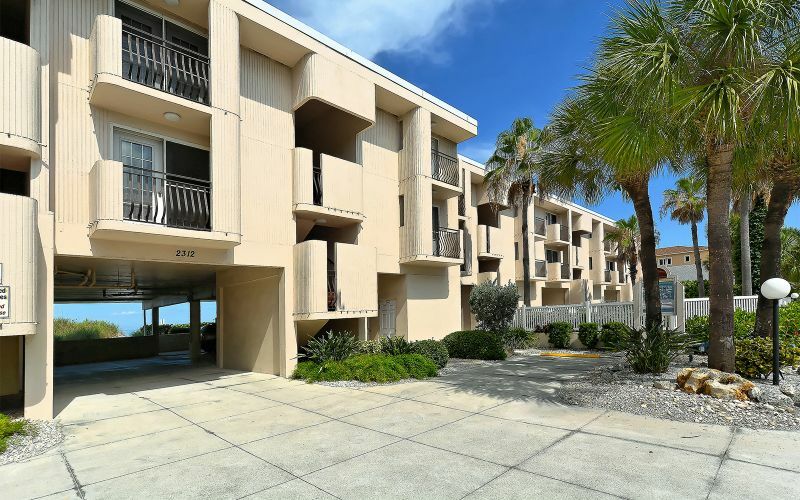 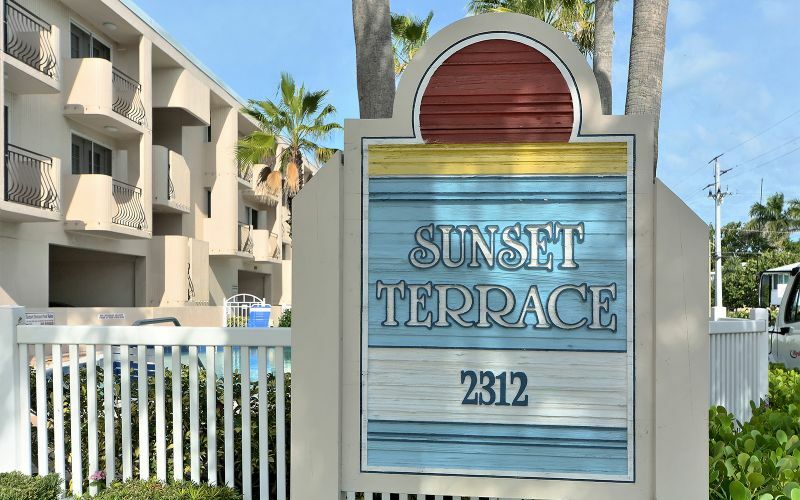 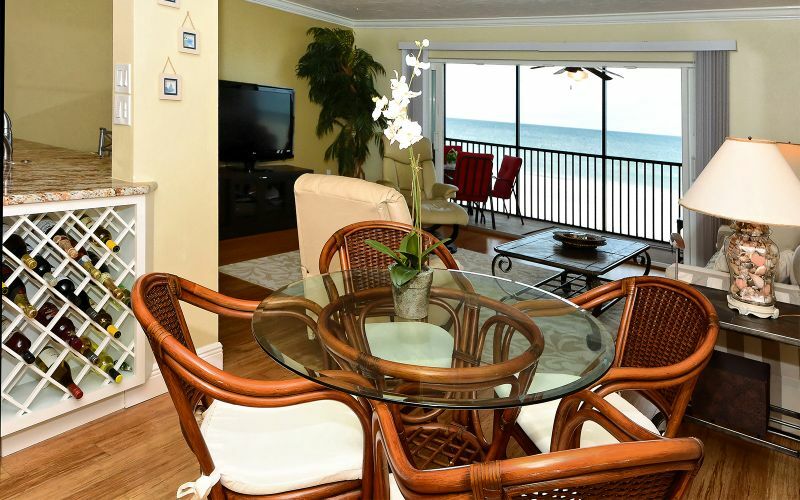 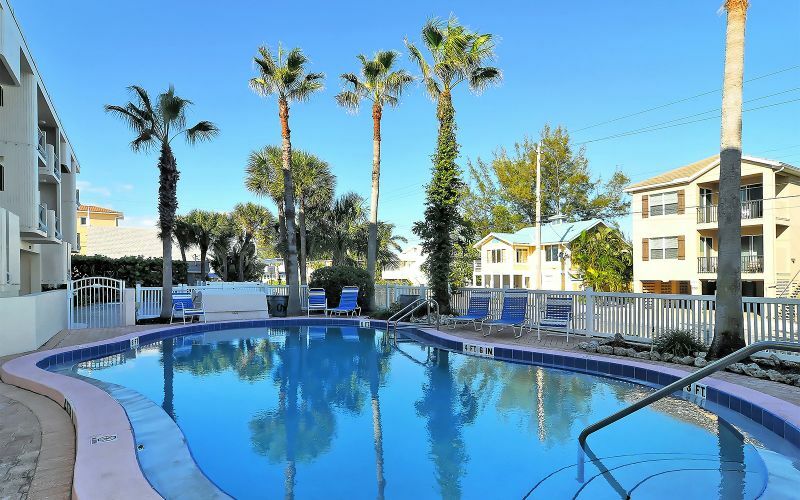 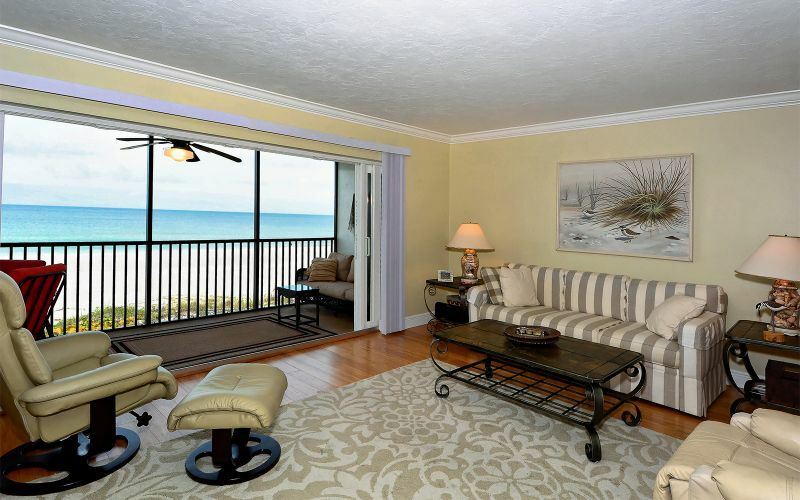 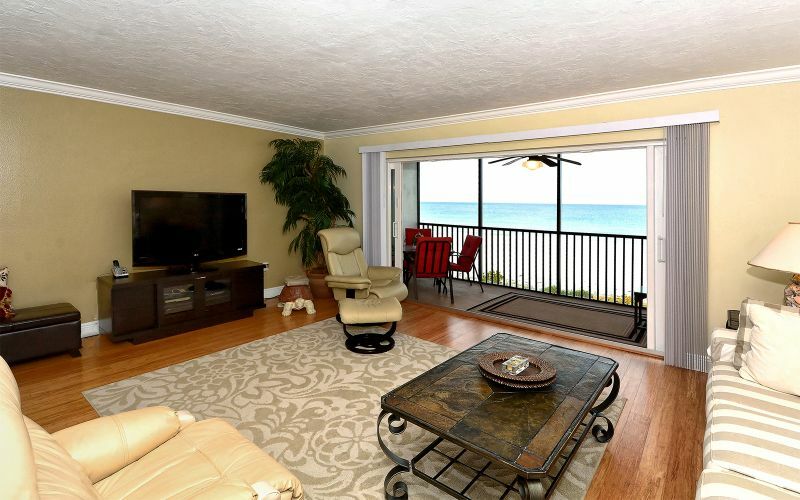 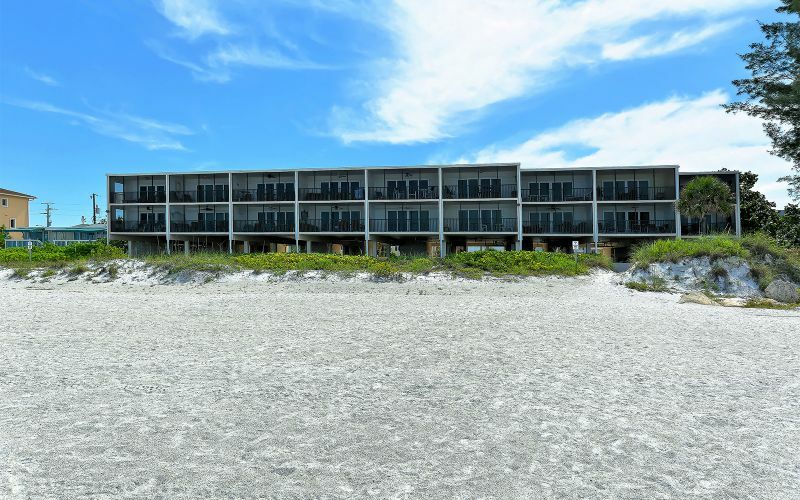 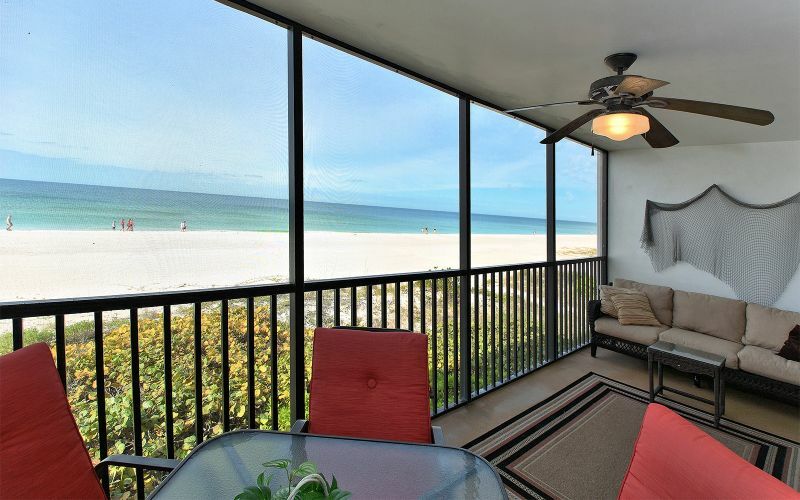 Catch a sunset from the large private screened porch or inside this direct gulf front 2 bedroom, 2 bath upstairs condo. 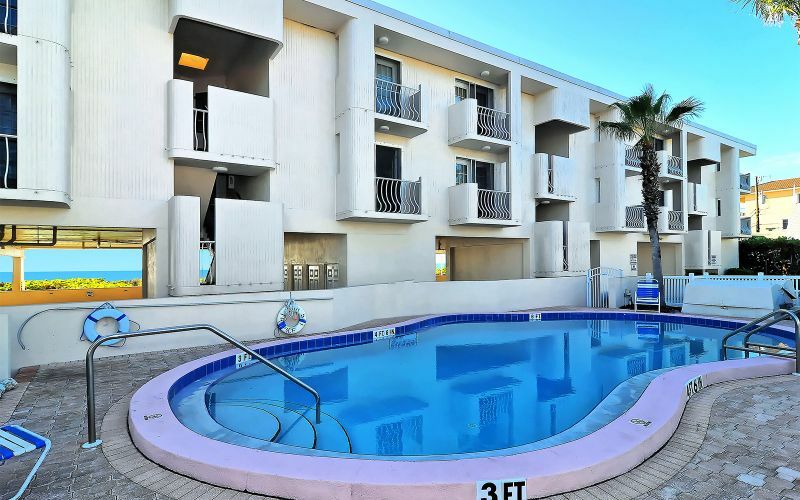 Comfortably furnished and a heated pool. 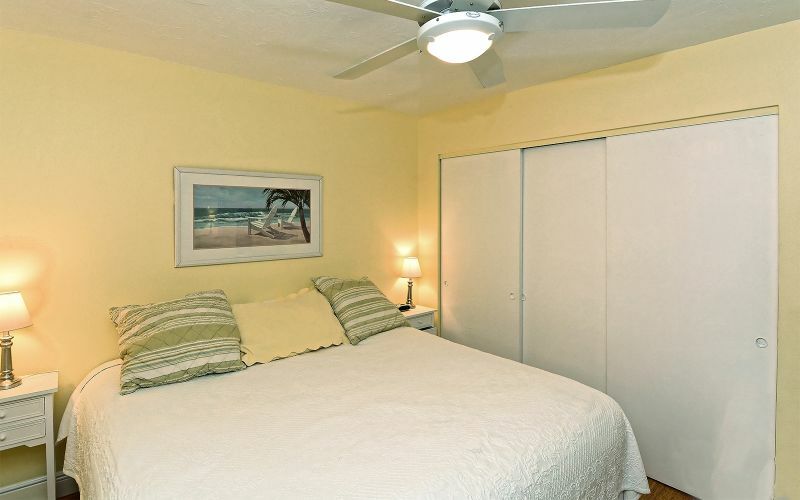 Covered assigned parking for one vehicle plus limited guest parking. 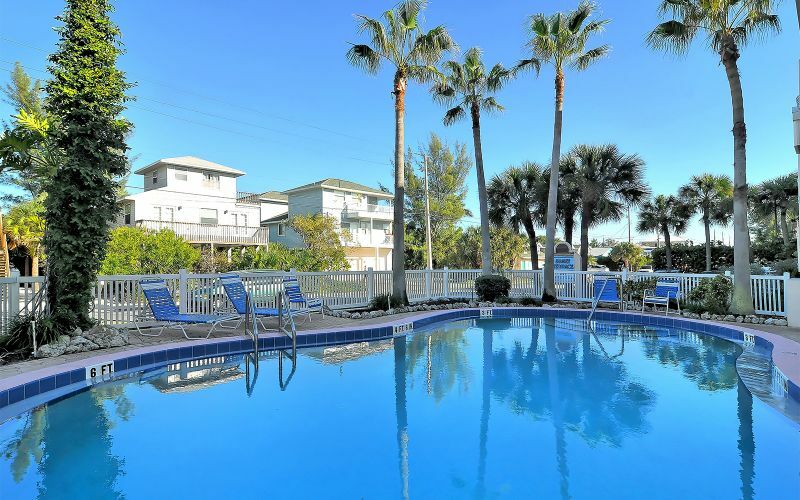 Just a short walk to the Island shops and restaurants. 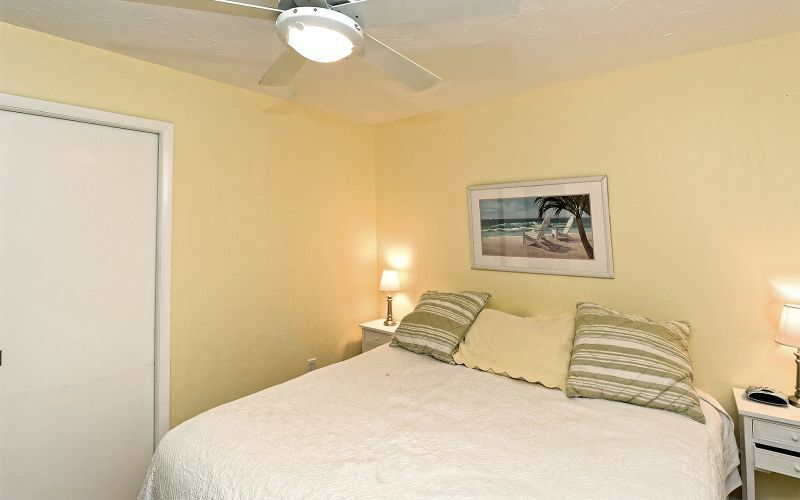 Sleeps 4 comfortably with a king size bed in each bedroom. 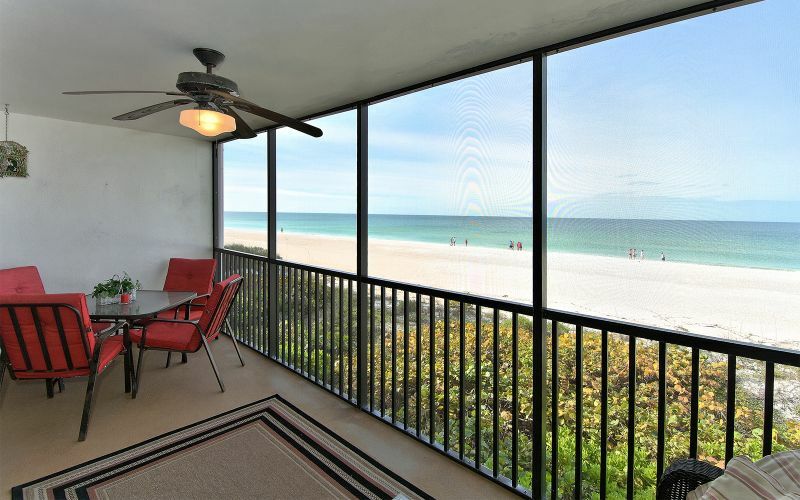 Sweeping views of the white sandy beaches.